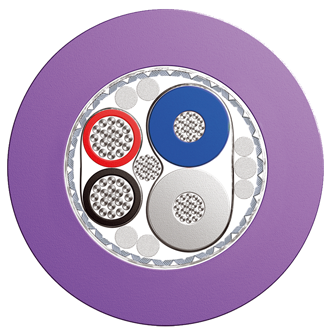 Armada® Thick/Trunk Cable for DeviceNet® systems | Belcom Cables Ltd.
Offshore installations, Maritime Environment, Trunk and drop lines of DeviceNet, Fixed or portable installations, Harsh Environments, Field bus on the process level. Insulation Polyolefin Ø 3,40mm nom. Insulation Polyolefin Ø 2,50mm nom. Shield Tinned copper wire braid, coverage 65 % nom.